TEENAGERS who need intensive support are now benefiting from extra help and attention, thanks to the generosity of people working for the St James’ Place Wealth Management Group. The group’s charitable arm, the St James’s Place Foundation, has donated £7,800 to help fund a new learning assistant post for the STEPS to 16 alternative programme, run by Woking-based Surrey Care Trust. The scheme provides a different approach to learning for people aged 14 to 16, who have had many years of struggling in education and mainstream school, to equip them for their future lives. The foundation is supported by partners and employees of the St James’ Place Wealth Management Group, more than 80% of whom donate monthly as well as raising money through events and challenges. 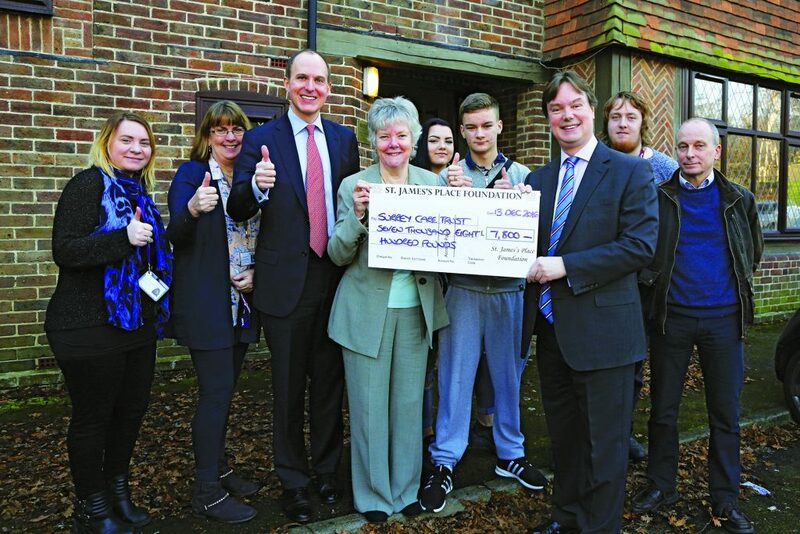 Woking MP Jonathan Lord presented the cheque on behalf of the foundation when he visited the STEPS to 16 programme at Wayside Court in Goldsworth Park last Friday. St James’ Place partner Alan Young added: “The foundation has a particular interest in helping youngsters. We were attracted to STEPS as it assists those who would otherwise have nowhere else to go from being excluded from mainstream education opportunities. The new STEPS learning assistant is Simon Grant who, until retiring two years ago, was a project manager at Royal Mail. He set out to work with youngsters but sought roles he felt would be challenging, which is why the position appealed to him. His own children are grown up so it was some years since he had dealt with teenagers. The first hurdle was to gain their trust. “I didn’t know where to start” he admitted. “To get them to participate takes patience and perseverance. As well as helping in the classroom, Simon’s job includes cooking breakfast and lunches, an essential part of a nurturing learning environment. Simon says a defining characteristic of STEPS is that young people are treated with respect and courtesy. “I think that rubs off on them and how they relate to others,” he added.